We recognize that it is important to support on-going maintenance of the bridge; to maintain it in a state of good repair, and that there are elements of the bridge that need some maintenance attention. However, my residents and I are seriously concerned about the potential consequences of a major rehabilitation or replacement. A significantly modified or reconstructed bridge will offer the opportunity for increased through traffic using this route as an attractive alternative when I-95 is backed-up. This introduces a major safety issue to our Saugatuck neighborhood as well as Green’s Farms Road as 18-wheel tractor trailers see the opportunity to use this route. Modifying, or replacing, the bridge so that it can accommodate trucks designed to travel our highways, and not our byways, will place pedestrians and cyclists who travel on surface roads such as Green’s Farms at greater risk of harm. This type of heavy commercial vehicular traffic is utterly incompatible with our suburban and residential community. In addition, this has the potential to add traffic and related pollution to our already congested neighborhood and frequently congested roadway. Secondly, the Cribari Bridge contributes to the historic character and culture of our Saugatuck neighborhood, which is undergoing a renaissance and revitalization if its own. The bridge itself is considered historic, but regardless, any significant change will have an impact on the preservation of one of the oldest residential neighborhoods in Westport. Lastly, I cannot even contemplate supporting the set aside of $40 million in construction costs without a clearer understanding of the intentions of this project. As you noted, we are at least a year away from completing the Environmental Assessment. Until that has been completed and until the public has been heard, I cannot support the set aside of over $40 million for a project where we have no understanding of the scope and impact of the potential design. To repeat, my fellow residents and I have many concerns about the possible change to the Saugatuck swing bridge that will come from these design efforts. They have the potential to impact traffic safety if additional traffic, particularly 18-wheel trucks, are allowed to be introduced to our local roadways that are also highly traveled bicycle and pedestrian routes in residential neighborhoods. An already congested neighborhood will become even more gridlocked. And a bridge whose historic look and feel has helped define the character of our historic Saugatuck neighborhood will be lost. I ask that you remove the line items related to State Project No. 158-0214 from the proposed STIP. The time to consider the final design and construction costs should be after the Environmental Assessment is completed and we can assess the real project that reflects local needs and safety requirements. I am prepared if necessary to vote “NO” on these line items at the MPO level, to instruct my Town Engineer to do so as well, and to encourage my fellow chief elected officers to do the same. Please spare us that process and debate and remove the line items until the Environmental Assessment is completed and we can fully understand the State’s intention for the bridge. 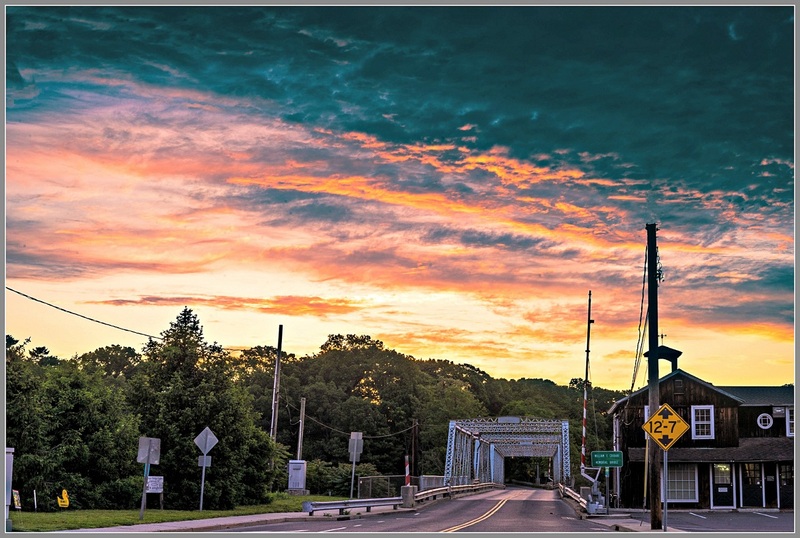 This entry was posted in Local politics, Saugatuck, Transportation and tagged Bridge Street Bridge; Jim Marpe; Connecticut State Transportation Improvement Program, William Cribari Bridge. Bookmark the permalink. Thanks to all of you who wrote to First Selectman Marpe urging him to vote NO on funding the destruction of the Cribari Bridge! . The great news is that DOT has agreed. $40 million earmarked for bridge replacement or major rehabilitation, both of which would have allowed 18 wheelers access to the bridge and Greens Farms Road, has been removed, for now. There is one concern. The DOT wants the $2 million for final design. And the $40 million could be added back in at any time over the next four years. So, we have to remain vigilant. The Westport Preservation Alliance will continue to monitor events and bring them to you. But, for now, this is a huge victory for Westport, and for you. It’s proof that grassroots efforts can make a difference! Thank you for listening ot us–and stepping in to protect and preserve Westport. Grateful to you, Dan, for posting this promptly, and grateful as always to Jim Marpe, who has a solid record of defending our town’s interests in a sane, reasoned and responsible way. Kudos to Jim! Well written, good to see your on top of Government issues, saving $40,000,00 the state doesn’t, This is another reason you’re the first Selectman, and will be again! Jim, this is what it looks like when a public servant does his job. Yours is a well-reasoned, articulately drawn argument that makes good fiscal and real world sense. Bravo. Would that there were more like you. Thanks for putting Westport and Westporters first. A heartfelt thank you Jim Marpe for your cogent remarks to the State Transportation Improvement officials. You continue to protect town residents from state encroachment and over reach. I am very grateful for all that you do and have done for Westporters. All true. However, it us narrow, ugly, and dysfunctional. What WILL be done to fix it? I happen to think that the bridge is beautiful. That’s what gives the bridge character and in turn Saugatuck. It’s its dysfunction which protects us. That it’s too low stops 18-wheel trucks from using it. Sure it’s narrow, but there are no more accidents on it than most other roads. And the bridge does not cause traffic, the intersection does. The bridge is safe to walk over and bikes can use that walkway or road bed to go over. Maybe its not dysfunctional at all. How to fix it? First fix the abutments, bend out the dents, oil the mechanisms and give it a new coat of paint and I think we’d all be fine. We think the bridge is awesome. Tons of Westporters think so too! It’s our top selling tee. Thank you for listening to all who live here and don’t want every single site changed. A courageous and thoughtful decision in a situation where Selectman Marpe has given voice to and acted in the best interests of Westport’s citizens. Thanks also to the hard work of Westport’s preservationists and the many Westporters–past and present–who have expressed how important the William F Cribari Bridge has been and will continue to be. Thank you Mr. Marpe for listening and hearing from so many of us. Thank you for protecting the area integrity , safety, beauty and stressing the need to wait for the environmental assessment. Well said, you are a threw servant of the people. Well said. Could not agree with you more. The bridge is town gem and should be kept in place + the traffic would be unbearable. Rush hour traffic in the area is already too much! Great job Jim, a rational response that is also very supportive of maintaining important elements that define the character of our Town. Thank you for all your efforts to protect and preserve Westport. The Bridge is beautiful and historic and means something to Saugatuck and to life long Westport residents like myself. Very happy to see this as a Saugatuck resident and I’m sure many of my neighbors are too. Seems foolish to go ahead and endorse funding in a case where neither of the options DOT is proposing are good for either Saugatuck or Westport. Hopefully some reasonable traffic mitigation ideas will come out of the TOD study–especially ones that dissuade the use of Green’s Farms road as a 95 alternate, which (and not the bridge) is the major cause of traffic through this area. Good to have a grown up in charge — someplace. The I-95 bridge did enough damage to Saugatuck 60 years ago. Thanks for weighing in on Westport’s side. Thank You for your leadership Jim. Dan, thanks for informing us so promptly. And, hats off to you, Jim, for taking this stand! Congratulations Westport! How great it is that you have a 1st Selectman with an understanding of the value of this bridge to Saugatuck and to the entire town, as well as the strength and courage to act decisively and swiftly to assure it’s preservation. I’m not privy to the work done by the committee but, in the context of this positive result, assume that the members’ hard work was crucial for the outcome. A tremendous victory for you all! And, Dan….. like a 21st century Paul Revere! We all love you….. Sounds like good news and strong leadership! Thank you Mr.Jim Marie! Apologies for misspelling! Darn devices! No matter what you think of the bridge, CT spending $40 MILLION is outrageous when the State of CT budget deficit is projected at $5.2 BILLION. $5.2 BILLION. Jim-thank you for showing Governor Malloy how to lead. Hat’s off to you, Mr. Marpe! Thank you for your careful consideration of the facts and for your leadership on this important matter. We need to keep that bridge and the state needs that money is so many other places. Four more years, four more years…. Nice job Jim, we need to preserve every little bit of Westport that we can before it’s all gone! $40 million when the state is so deep in the red? Outrageous!!!! Great decision by Jim Marpe and a big shoutout to the Westport Preservation Alliance for their grassroots efforts! What does that $40 million purse pay for now? Hopefully returned to pay the pension obligations …but doubtful Nancy! I would assume it comes from the transportation budget, which all our gas taxes should technically go towards. If that money is in a lockbox and we have all the infrastructure that needs updating or repairs, I would just as soon see that done. Let them make the cuts to the bloat to get rid of the deficit. Elizabeth-there is no transportation lockbox and the legislators in Hartford could not agree on one. The transportation fund will run out of money over the next few years as the Governor has used some to help pay for budget items-state expenses, debt and employee benefit costs. Making matters worse, with cars with higher MPG and more electric cars, the CT transportation fund will have less and less added into the fund due to much lower gasoline tax receipts. The State debated adding tolls but that would be like double taxing the gasoline cars. Eventually states like CT will need to look at ending electric car incentives and find a way to make the taxing for state roads and bridges more fair to both gas and electric car owners. In the meantime CT is facing a daughting fiscal crisis, dwindling transportation funds and fast growing state employee benefit costs and rising state debt. 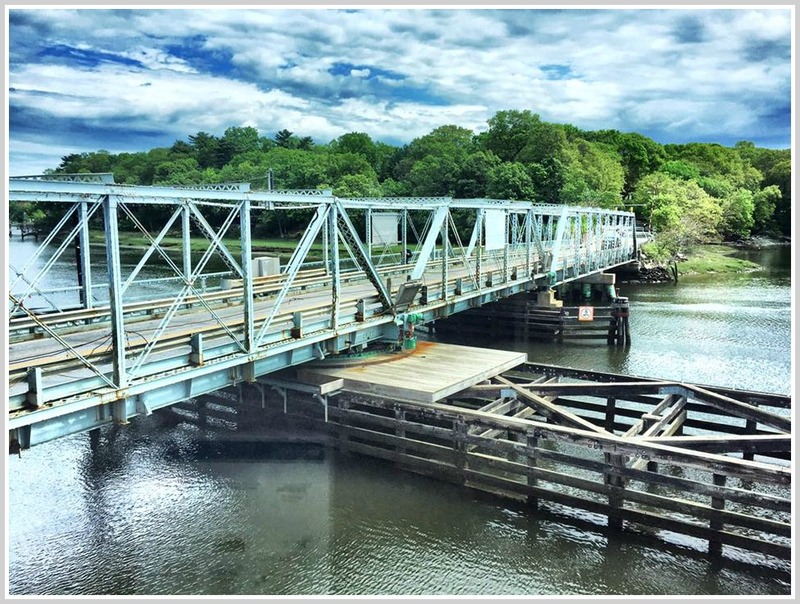 Thank you, First Selectman Marpe, for taking this decisive step towards preserving our charming, iconic bridge and the character of Westport. Thanks, too, to the Westport Preservation Alliance for your tireless efforts in fighting for this important cause. Once again Jim Marpe has demonstrated a lack of leadership or vision for the future of our town. It’s easy to stick with the status quo by whipping up fears of change. But that comes with a high cost. As those of us who commute can attest, the current antiquated and unsound bridge routinely results in 10 or 15 minute delays Incurred by drivers in getting across the river into Saugatuck. Marpe kicks the can down the road in failing to even acknowledge that the current situation is causing crippling traffic which has a cascading effect on other town roads as well. Remarkably There is not one word devoted to the needs of commuters in Marpe’s statement as if that constituency doesn’t even exist. I’m all for historic preservation but We need a solution that reasonably balances the aesthetic with the pragmatic. Marpe’s one sided decision fails to do so. So you’d like to share your commute down Greens Farms Road and across the Bridge with a bunch of 18 wheelers? And that’d most likely be the scene every morning since by 7am I-95 is already backed up past Exit 17. I’d be happy with the delays caused by fellow residents all trying to get to the train. We already have trucks. What would be useful is a well constructed modernized bridge that can handle the existing traffic flow. The idea that making such an improvement would draw new traffic from I 95 is pure unsupported speculation. What’s true and indisputable is that the current bridge, which can get stuck for a half hour or more when it has to swing open, needs dramatic repair and renovation. Not speculation — reality. Yesterday morning’s traffic is just the latest example. As noted by others, building a 20-lane bridge would not negate the fact that 18-wheelers cannot navigate Riverside and Saugatuck Avenues — and that Bridge Street and Greens Farms Road are also only 2 lanes each. Evan. CT is broke. Billions and billions of dollars of deficits for years. Your ten minutes extra is nothing compared to the effect of the massive fiscal issue on seniors and the needy. You appear to be very selfish. Jim Marpe showed real leadership turning down $40 million is spending that can wait, if needed at all. In westport we lived thru years of poor fiscal before Jim became the First selectman that left Westport with a huge pension liabilities and a lot of town debt. My guess Jim has managed the debt down by close to 25% (I am sure someone will have the extract number) and our pension plan is probably 85% or more FUNDED. BTW – you could make the bridge 20 lanes wide and that still doesn’t change the fact that the road leading into it in both directions is 2 lanes wide so it won’t change the flow of traffic, it will just add more commercial vehicles to the mix. Sitting back and doing nothing to repair our decaying infrastructure is not leadership. Just ask the folks in New Jersey who are suffering the consequences of Republican Gov Chris Christie’s similarly myopic decision to decline federal money earmarked for the repair of the Hudson River Tunnels. Evan. If you want to blame anyone in CT it is quite easy to start with Governor Malloy and the democratic leadership who decides not to reform the extravagant pensions and medical benefits the state workers receive and instead just raise taxes. I am sure you know who else-our own State Rep who voted twice for 2 Budget Implementers that allowed the tax increases while doing nothing to vote to reform the benefits. But clearly you have your politics to support. I hope others in Westport continue to applaud Jim Marpe for his prudent financial decision and also the decision to keep the 18 wheelers off our streets. What shouldn’t be lost in the preservation of our William F Cribari Bridge is that I-95 is out-of-control. Our traffic congestion is the result of a combination of failures by the state: failures to police, plan, and maintain. The number of accidents–many spectacularly serious–on I-95 is extraordinary. Thank you Jim…why not run for governor?? as first selectman in Westport! This excerpt, “The time to consider the final design and construction costs should be after the Environmental Assessment is completed and we can assess the real project that reflects local needs…” leaves some wiggle room, as one local need might be to encourage more river boating up stream to the Post Road bridge, which might mean raising the Bridge Street bridge so that it doesn’t have to be swung open for sail boats. Many of the details in ConnDOTs report are questionable. I.e. Accident Analysis attributes 59 accidents to the bridge from 2004 to 2010 yet most listed are not on the bridge and of those few that are quite a number were during the worst winter storms of that period (state snowplows hitting it).